This post is about not so much a book as a person. 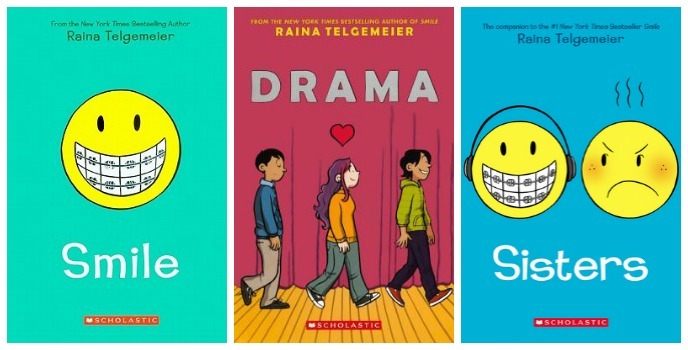 Raina Telgemeier is the fabulous, fantastic author of Smile, Drama, and Sisters. Smile takes the (true) story of dental insanity and turns it into a long-term coming-of-age tale (which helped inspire Cece Bell to write El Deafo as a graphic novel). Drama takes on the big world of middle school theater. And Sisters is, of course, about sibling rivalry (and baring your teeth at your sister, apparently). Telgemeier’s books are just really, really good middle grade, period. Like, I’d be happy to read these stories in a text-only format, I’d be happy to watch them on TV (preferably Degrassi), I’d be happy to have my little cousin act them out for me using only her words and her twelve-year-old feelings. But I’m happiest to read them as graphic novels because Telgemeier’s visual storytelling is so spot on. Who can take a ubiquitous image like a yellow smiley face and turn it into something so totally associated with her story that she can use it again as a self-reference on a second book cover? 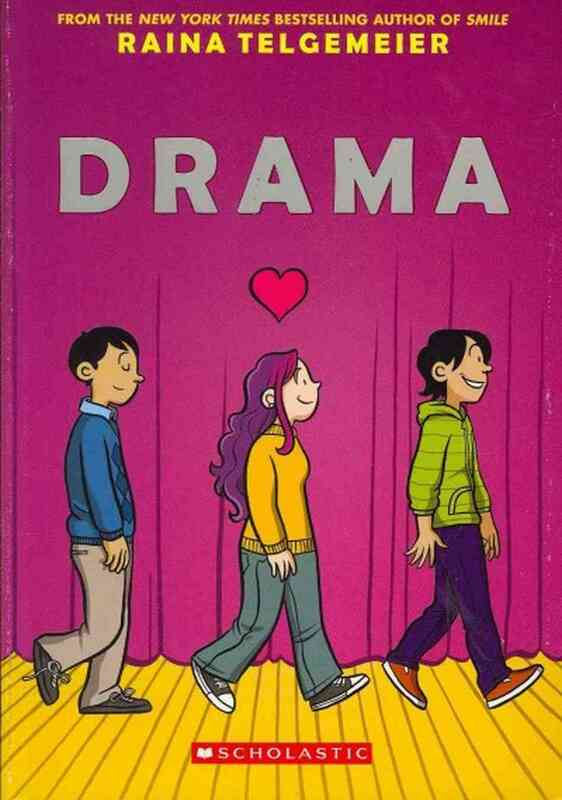 Raina Telgemeier can. Also, apparently she wrote the graphic novel versions of The Babysitters Club. So I’m adding all of those to my library holds list immediately. This entry was posted in March 2015 and tagged drama, graphic lit, graphic novels, kidlit, kids graphic lit, March 2015, middle grade, raina telgemeier, sisters, smile. Bookmark the permalink. ← Every hero has a tail. My daughter won’t let me remove those books from her bedside. It’s been 6 months! She must read them every week.